“Summer of Love”, Alfred C. Glassell Jr. Exhibition Gallery, Baton Rouge, Louisiana. 5x5x5 Miniature Show, River Oaks Square Arts Center, Alexandria, Louisiana. “Off To See The Wizard”, Alfred C. Glassell Jr. Exhibition Gallery, Baton Rouge, Louisiana. 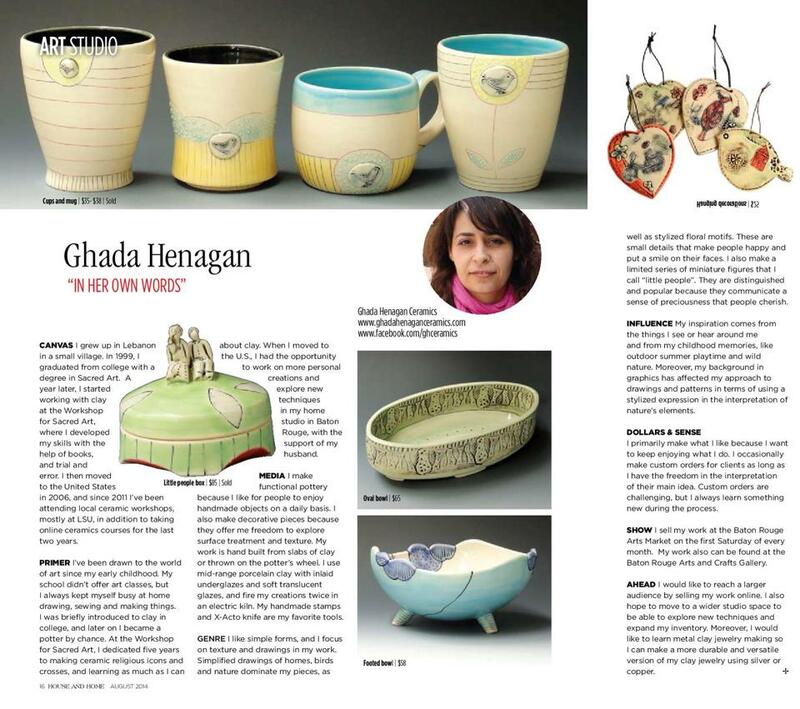 Ghada Henagan Ceramics was featured in HOUSE & HOME magazine, celebrating the style of South Louisiana, August 2014.